This is merlot a class apart. 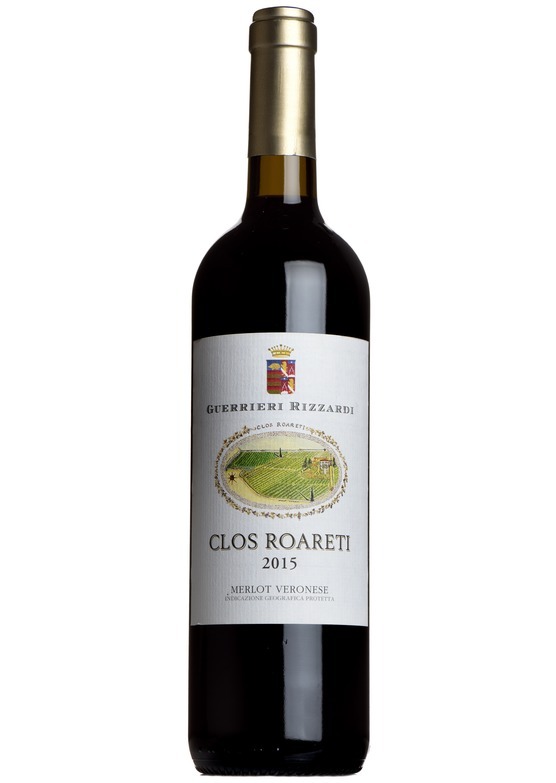 Think Pomerol from a warm vintage, or a very top Napa Valley merlot - from a 100-year old walled vineyard, the Clos Roaretti, this is rich, full-bodied and complex. Sumptuously laden with plum fruit, but also with freshness and finesse. Everything seems to be here, a whisper of oak, fine structure, and only made in the best vintages. Guerrieri Rizzardi is a historic estate with vineyards throughout the Veneto. The two families came together in 1913, and have been developing their wine estate ever since. Soave and Bardolino are made by the family, as well as Val d’Adige, and even Prosecco, but their real speciality is within Valpolicella, where exemplarary single-vineyard wines are made, and almost peerless Amarone. The estate’s single-vineyard merlot is new to us, and is a real star.